So much yarn, so little time. : Going, going...gone! We were sad when the local auction house went out of business, and it's taken us a long time to find another one. Today was our first auction - and we won one of the two lots we wanted. 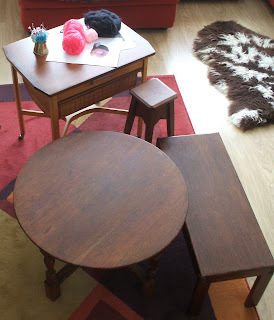 It was listed as a sewing basket, 2 occasional tables and a jardinierre. I only wanted the sewing basket, but as the whole set ended up being under £30 ($45) including buyer's commission I'm happy! 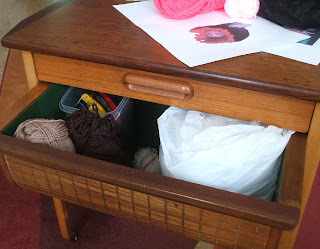 and then the deep drawer is lined in felt and is roomy enough for the day's knitting and yarn and stuffing and wires and everything else to be hidden away. I am confident I'll be tidy for at least the next couple of days! 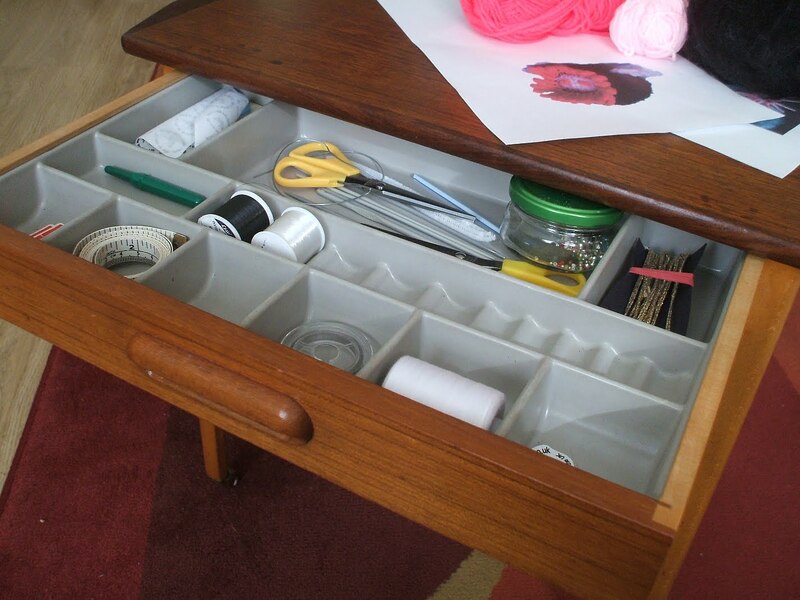 Love your sewing table - very useful! What are you going to do with all the other tables though??!!! Could these critters be even cuter than meerkats? Props - what do you use? Where would we be without colours?